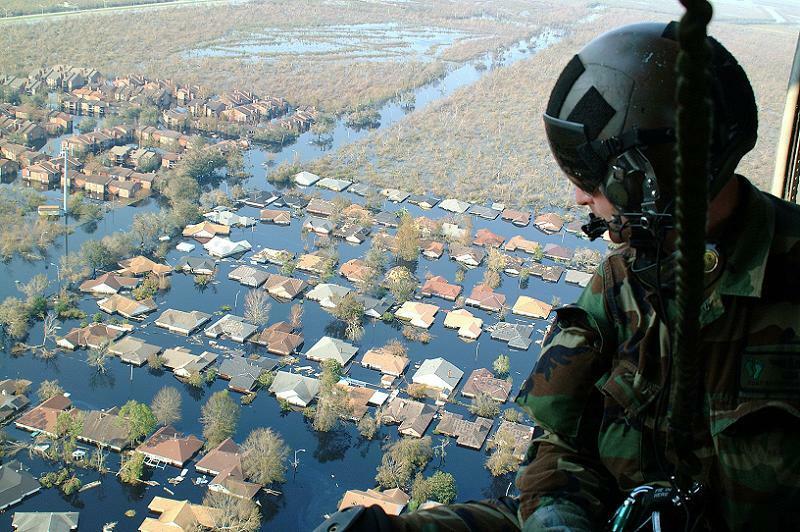 Ten years ago this week, Hurricane Katrina swept over the Gulf Coast and shredded communities from Louisiana to Florida. 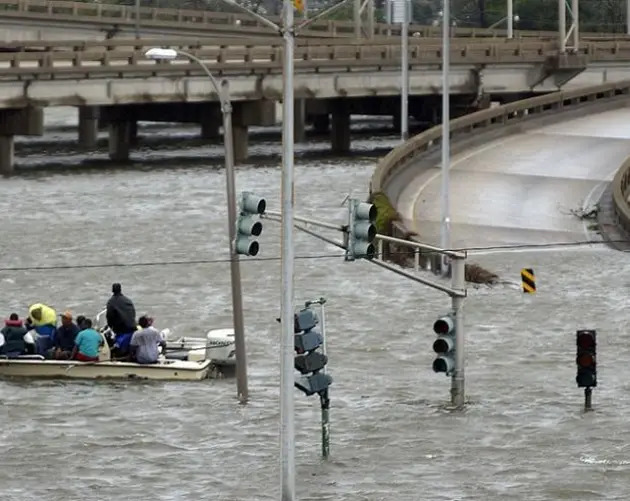 Emergency response to the crisis was badly bungled, and the post-storm recovery has had some unexpected effects on the area. 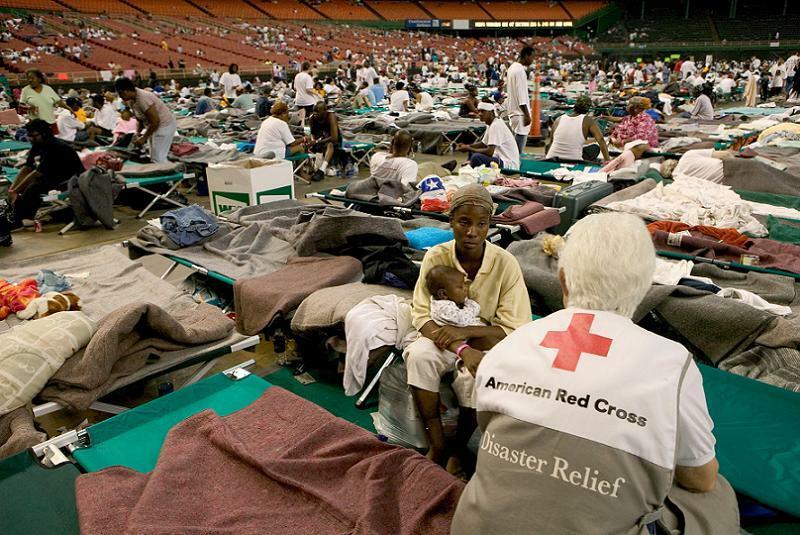 As one of the costliest disasters in American history, Hurricane Katrina revealed quite a lot about our priorities, and how American society does—and doesn’t—work. 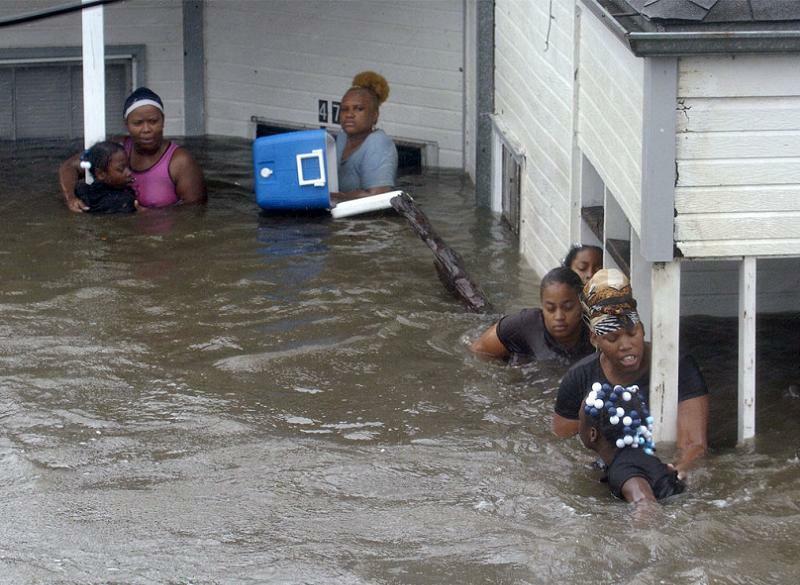 The decade after the storm, as New Orleans and its surroundings have worked to rebuild, reveals even more. 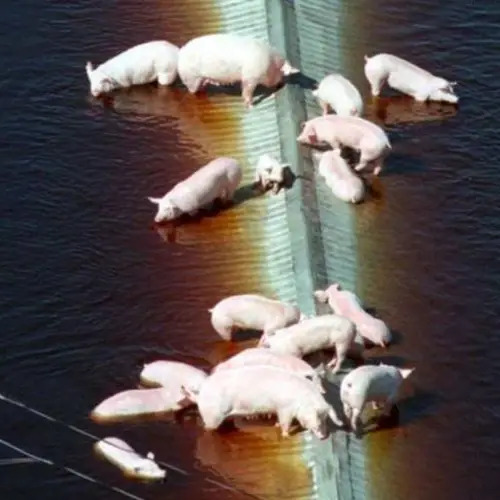 Will North Carolina's Hog Waste Lagoons Overflow During Hurricane Florence? 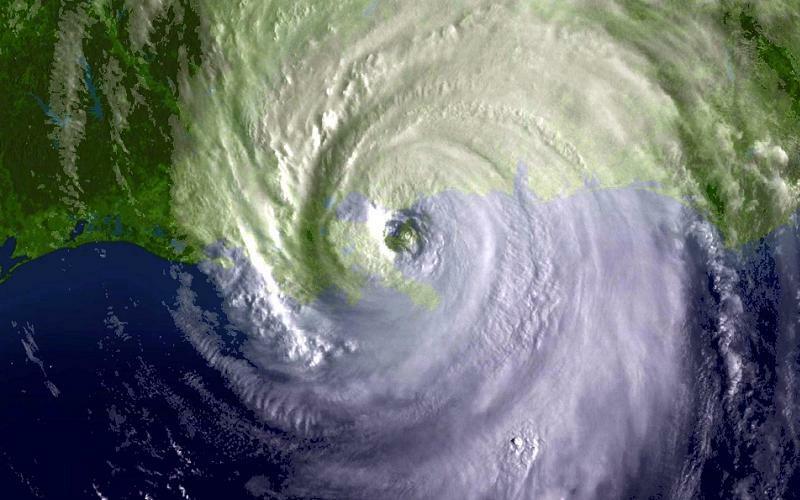 Katrina made landfall in southeastern Louisiana on August 29th, as either a Category 2, 3, or 4 storm, depending on who you ask. 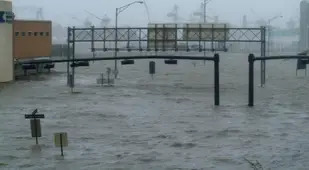 Power failed in New Orleans almost immediately, so on-the-ground measurements of rainfall and wind velocity were mostly guesswork. 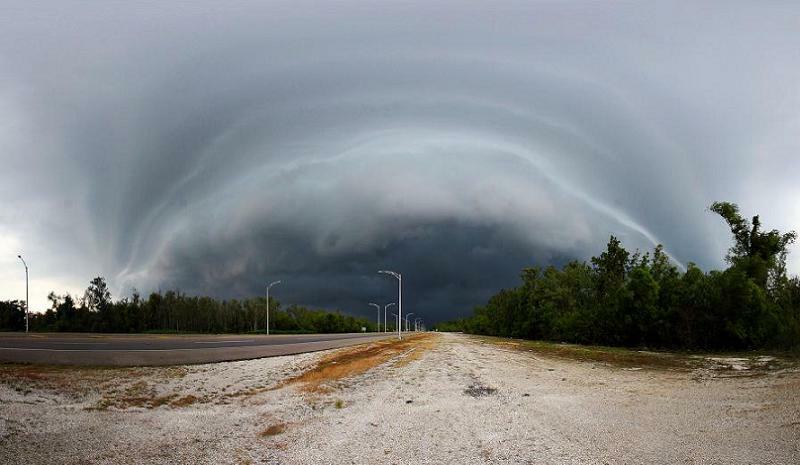 Considering that a Category 2 storm sustains winds of between 96 and 110 mph, even the low estimates were terrifying. For perspective, imagine yourself blasting down the freeway at double the posted speed limit. Now, without slowing, toss a wheelbarrow full of roofing tiles out the window at pedestrians and spray them down with a fire hose as you drive past. 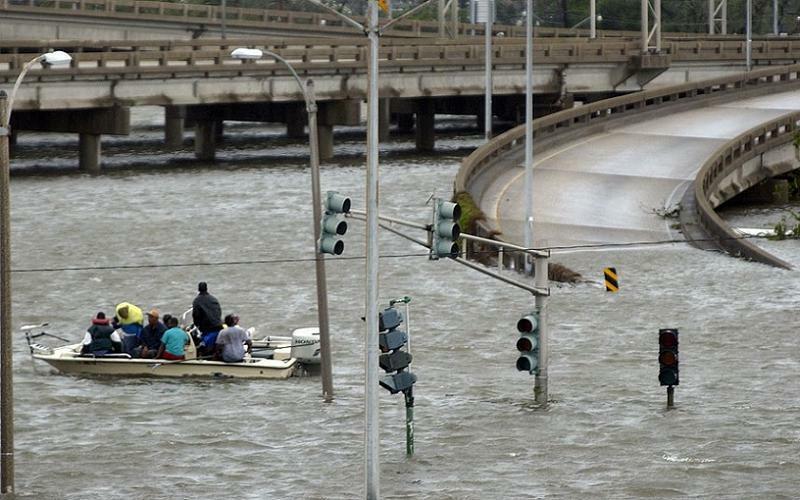 That's what was headed for New Orleans in 2005, except it was 150 miles across. 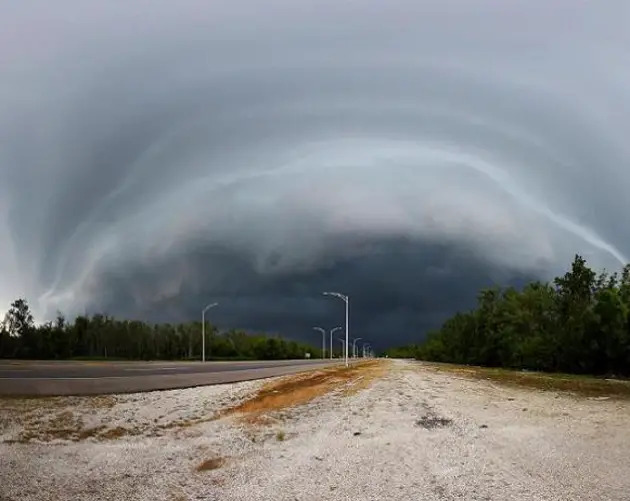 The storm dropped 15 inches of rain on parts of the state, an amount equal to the average annual rainfall in Montana. 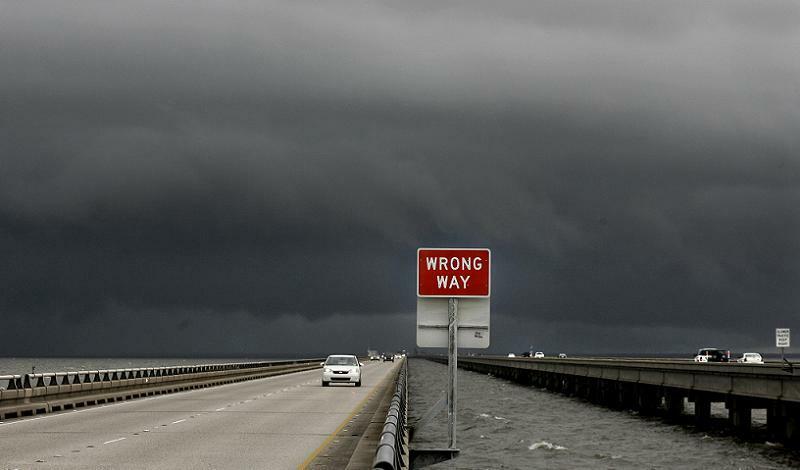 Much of the rain fell on already-waterlogged wetlands in the Mississippi delta and over a series of lakes, notably Lake Pontchartrain. 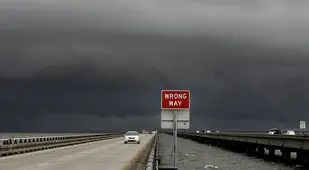 The U.S. Army Corps of Engineers, which had been responsible for strengthening the levees around the lake, stopped work on the project in 2003, as 80 percent of its budget was cut to defray the cost of the Iraq invasion. 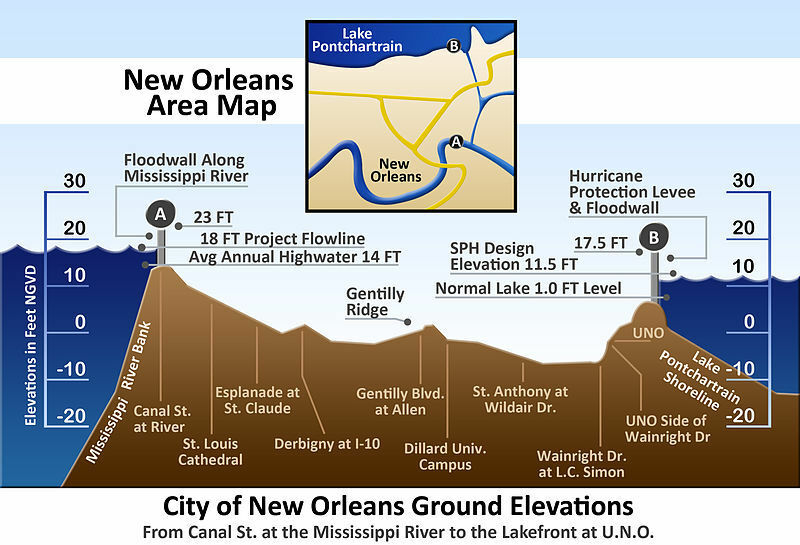 Unsurprisingly, the levees tore loose under the pressure of the extra water. 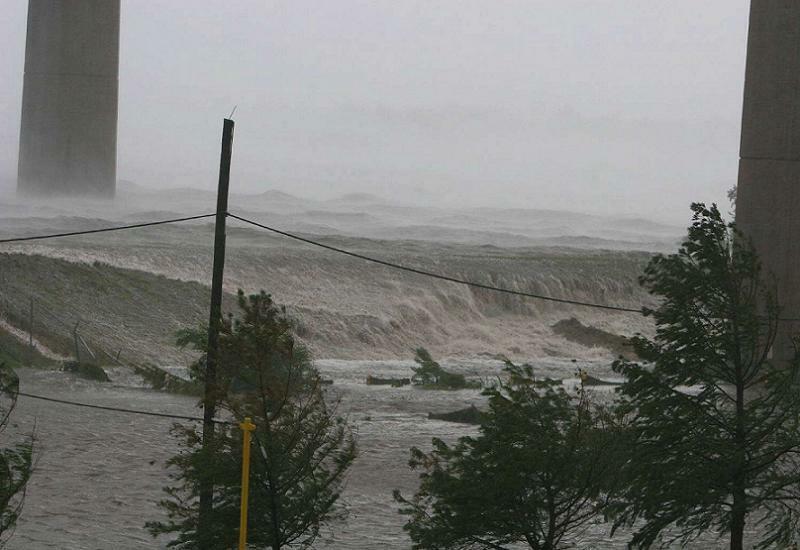 This, combined with a 13- to 16-foot storm surge, flooded the city of New Orleans. 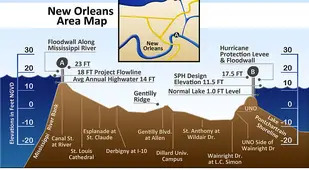 The city's unique bowl-shaped topography didn't help, as the floodwaters had nowhere to drain once they overtopped the levees. As a result, around 80 percent of the city sat under several feet of stagnant water for days. 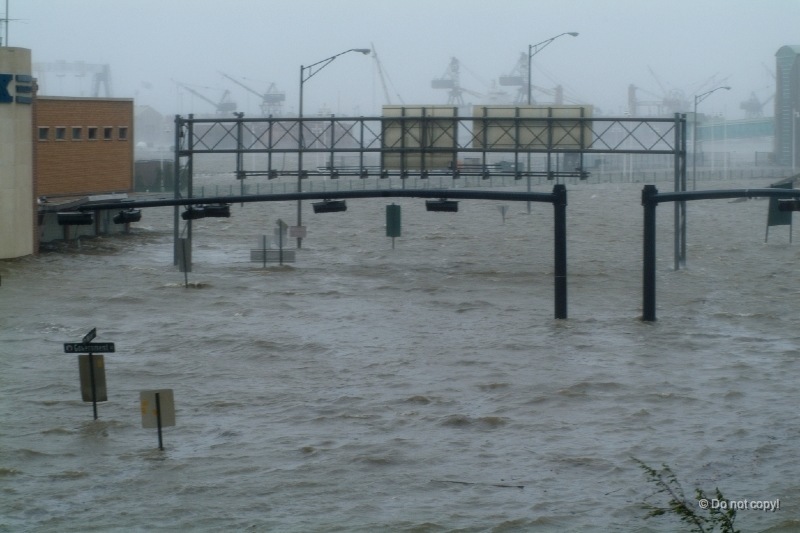 Immediately after Katrina hit, New Orleans resembled a wet tropical Stalingrad. 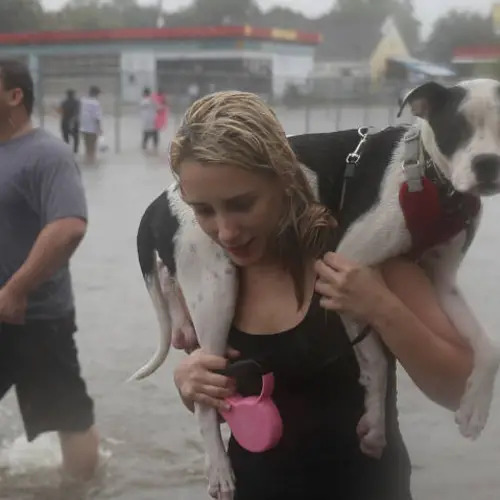 Most neighborhoods were reduced to waterlogged rubble, with whole blocks swept away where the water had picked up some momentum. Oil barrels and countless gallons of God-knows-what had tipped into the water, coating every surface in sticky toxic residue. Bodies were floating in standing pools, buried under smashed buildings, and lying in the street to be eaten by the tens of thousands of rats driven up out of the sewer. About 1,500 New Orleans residents were dead, and recovery of the bodies was so slow that many of the people who died in the heavily damaged east side of the city decomposed to the point they could only be identified by dental records. Journalists covering the storm, temporarily stirred to action, put a great deal of pressure on the federal government. 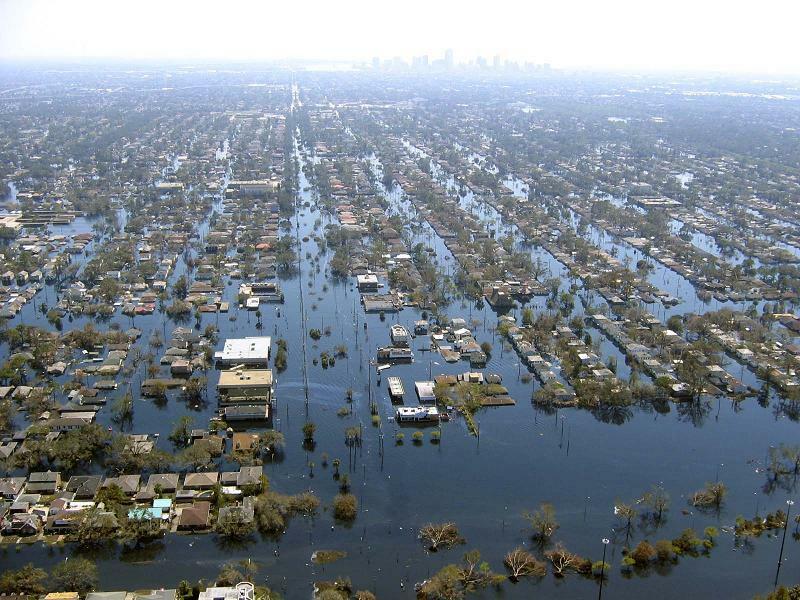 Officials faced embarrassing questions about nearly every aspect of the emergency management – from the budget cuts that left the city vulnerable, to the competence of various political appointees managing the recovery and the obscenity of restoring power to the Jackson Square neighborhood long enough for the president to give a speech, then cutting it off again when he left. 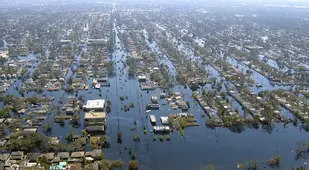 Long-term recovery in Katrina-affected areas predictably became a heavily politicized struggle between well-connected special interests. 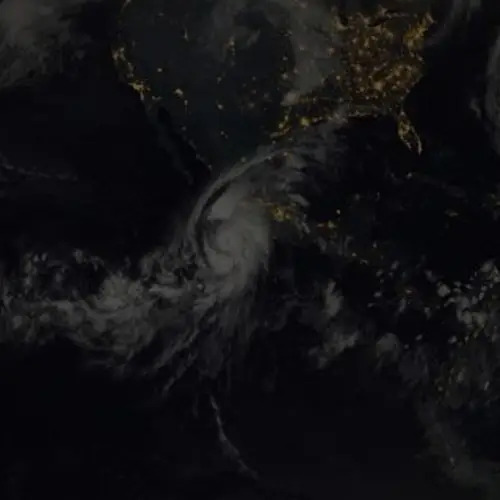 With a $51 billion aid package up for grabs, various contractors, advisers, and general con men swung into action to sweep up as much money as possible before it landed on the people most affected by the storm. The aid that finally filtered down to residents of the area was held up by the very rules and red tape meant to provide relief. 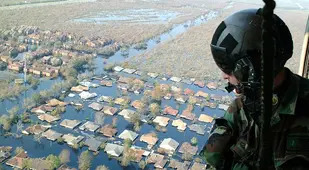 Within a few months, it was discovered that at least 24,000 Louisiana homeowners had accepted grants to raise their homes up to six feet off the ground and thus bring their homes into compliance with the new flood-control rules, but were later unable to prove that they'd made the upgrades. 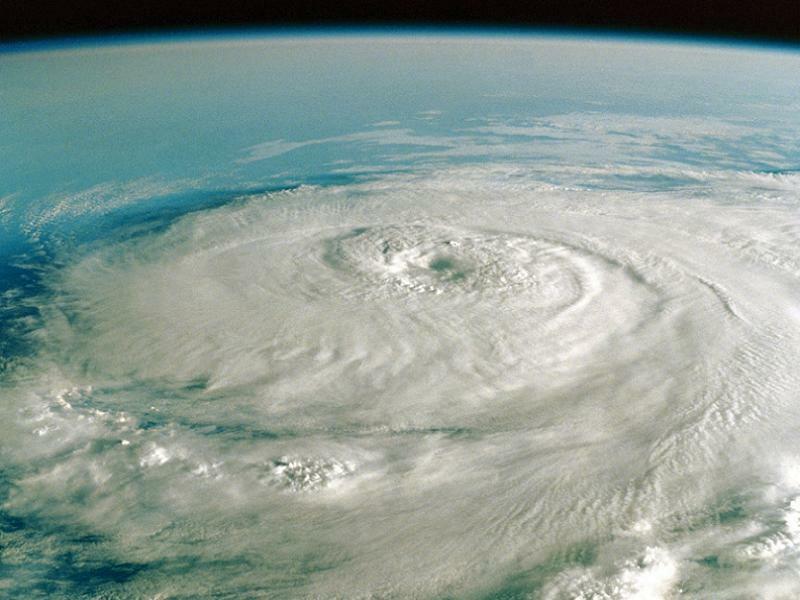 If you lived in New Orleans, and your house was demolished by Hurricane Katrina, rebuilding probably started with a phone call to your insurance carrier. 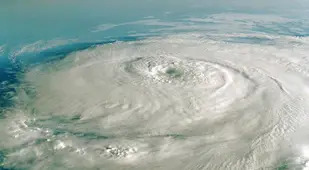 Of course, since most homeowners' policies don't cover flood insurance, and the floodwaters usually carried away the rubble knocked over by the wind, you were in for the fight of your life just to collect on the insurance you were owed for the wind damage. Federal aid was available, but only in the amount equal to the difference between your insurance settlement and the assessed value of your home. If you didn't have insurance, you weren't eligible for this aid. Even the people who did qualify were put through bizarre bureaucratic torture before they could collect disaster relief; one requirement for getting a standard federal grant to rebuild collapsed homes was that applicants must first apply and be rejected for a Small Business Administration-backed loan. If you had the misfortune to be a retired person with good credit, then the loan would probably be approved and then no aid for you. If you were poor and disorganized to the point that filing a loan application from whatever shelter you were living in was a challenge, then no aid for you either. All this sounds bad, but it could easily have been worse. Dennis Hastert, then Speaker of the House, publicly questioned if any federal funds should be used to help New Orleans rebuild at all.